Round six of the Selden SailJuice Winter Series, the John Merricks Tiger Trophy, is looking set for a challenging weekend for Ian Walker and the other legends getting ready for racing, not least an unlikely appearance from the commissioner of Hazzard County . 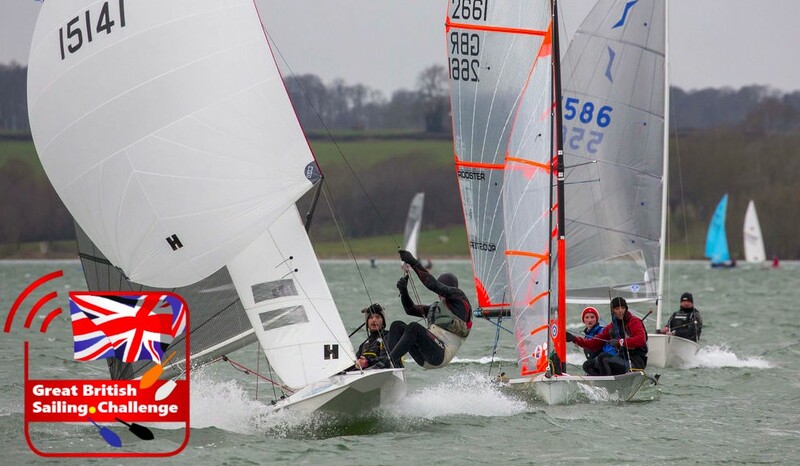 . .
Biggest and potentially hardest one-design battle in the fleet will be between the 20-plus 420s that have entered, a welcome return for the class from where the Tiger Trophy originated. Son of Rutland, the late Johnny Merricks, won the first ever Tiger a quarter of a century ago in a 420 and went on to win the 420 World Championships. Johnny also happened to win an Olympic silver medal in the 470, and his old crew Ian Walker is making a return to Rutland crewing for Jess Lavery in the very same 470 that he and Johnny won their silver medal. There’s some strong talent in the Fireball fleet, not least Dave Hall and Paul Constable who have attended every edition of the Tiger Trophy since it began 25 years ago. However, the current Fireball World Champion Matt Burge has teamed up with a past Fireball World Champion Vyv Townend to race in an Osprey together. Another former Fireball World Champion DJ Edwards is also racing an Osprey crewed by Mike Greig, and will provide a tough challenge for the son/father duo of Ben and Simon Hawkes from Castle Cove who are campaigning their way through all seven of the events on the Seldén SailJuice Winter Series.